A drop-leg platform with MOLLE cross-webbing for mounting a variety of pouches, with a rubberized material on the back, decreasing the chance of the platform from slipping out of place whilst you're running or diving for cover! 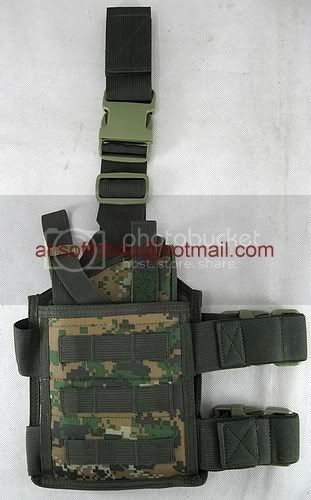 It features a removable hidden holster attached by Velcro. It is able to fit most standard sized pistols, from Glock 17's to 5.1 HiCapa's. 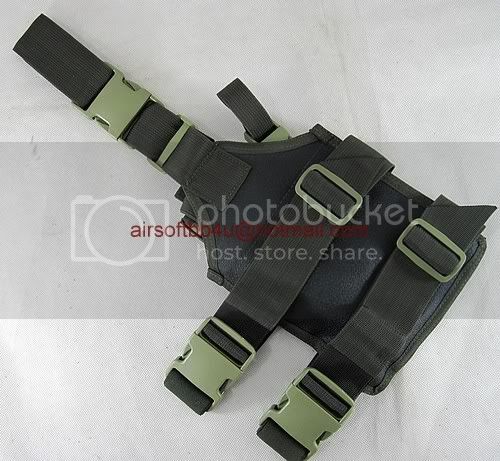 Noise from your holster movement is reduced due to it being hidden, and the chances of snagging against foliage or loose cover is dramatically reduced, allowing you to move even stealthier than before!A drop-leg platform with MOLLE cross-webbing for mounting a variety of pouches, with a rubberized material on the back, decreasing the chance of the platform from slipping out of place whilst you're running or diving for cover! 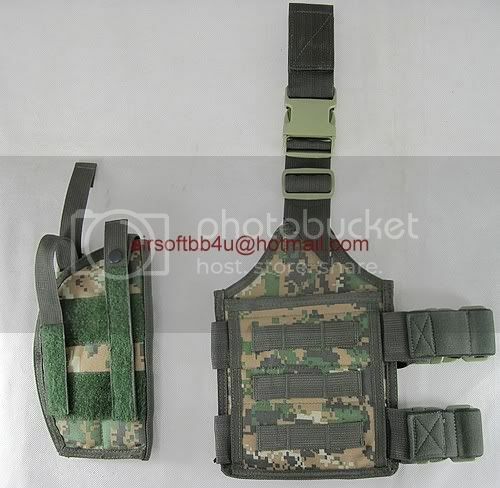 It features a removable hidden holster attached by Velcro. It is able to fit most standard sized pistols, from Glock 17's to 5.1 HiCapa's. Noise from your holster movement is reduced due to it being hidden, and the chances of snagging against foliage or loose cover is dramatically reduced, allowing you to move even stealthier than before!